Known for their innovation and manufacturing standards, Yamaha watercrafts are in a league of their own with their famous Waverunner leading the way. With a focus on power and precise control, this model has been a fan favorite since day one. When you need the best in Yamaha Waverunner parts to keep your model running at the peak performance levels expected of this name, we have you covered with all the solutions you need. First introduced in 1986, the Waverunner was the world's first sit-down type open stern production personal watercraft. This model was so successful that it would become the accepted design for this type of vehicle still today with other manufacturers following Yamaha's lead. When the model was first brought to the market, it caused a renewed interest in this type of water vehicle and would serve as the blueprint for expansions for double and even three passenger models still to come. Today, this model offers some of the most reliable and powerful high output 3-cylinder engine performance on the scene making it a constant choice for those looking for speed on the water. 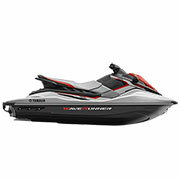 We are pleased to bring you a diverse selection of Yamaha Waverunner parts to outfit your model with everything it needs. As an authorized dealer, we are proud to bring you OEM Yamaha Waverunner parts straight from the manufacturer which ensures a lasting solution made with the specifications of your model in mind. In addition to the various years and specifications available, you will also find we cover a wide range of areas. Whether looking for a bilge pump, oil pan, or a repair kit, we have it all in one convenient location, so you can get the right solution and get back on the water in no time. With a wide range of options available coupled with the high quality of the products offered, finding the right part has never been easier. If you have any questions about our inventory, please contact us for further assistance on the matter today. We are happy to help in any way!